Group photo from the M30 meeting of the project INSPIRED (INdustrial Scale Production of Innovative nanomateRials for printEd Devices), hosted by M-SOLV and taking place in Kidlington, Oxford from the 27 to the 29 of June 2017. The article “Preliminary investigation of the antibacterial efficacy of a handheld Plasma Gun source for endodontic procedures” by Emanuele Simoncelli, Daniela Barbieri, Romolo Laurita, Anna Liguori, Augusto Stancampiano, Luca Viola, Riccardo Tonini, Matteo Gherardi, Vittorio Colombo, (https://doi.org/10.1016/j.cpme.2015.11.001) published in Clinical Plasma Medicine (CPME), has been downloaded 506 times as full-text-PDF since published online in the database Science Direct. The article “Chemical analysis of reactive species and antimicrobial activity of water treated by nanosecond pulsed DBD air plasma” by Romolo Laurita, Daniela Barbieri, Matteo Gherardi, Vittorio Colombo and Petr Lukes, (https://doi.org/10.1016/j.cpme.2015.10.001) published in Clinical Plasma Medicine (CPME), has been downloaded 887 times as full-text-PDF since published online in the database Science Direct. 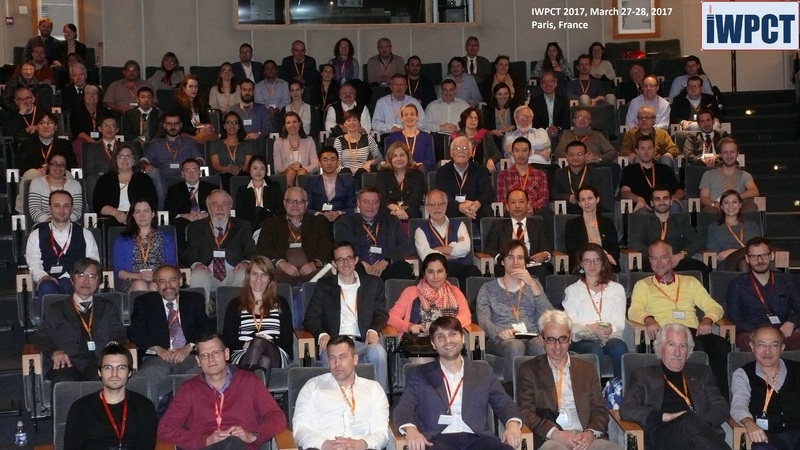 The 4th International Workshop on Plasma for Cancer Treatment (IWPCT) was held in Paris from the 27 to the 27 of March 2017.